The Subglacial Antarctic Lakes Scientific Access (SALSA) project is an integrative study of subglacial geobiology, water column and sedimentary organic carbon, and geological processes in Mercer Subglacial Lake, a hydrologically active subglacial lake beneath the Whillans and Mercer ice streams in West Antarctica. 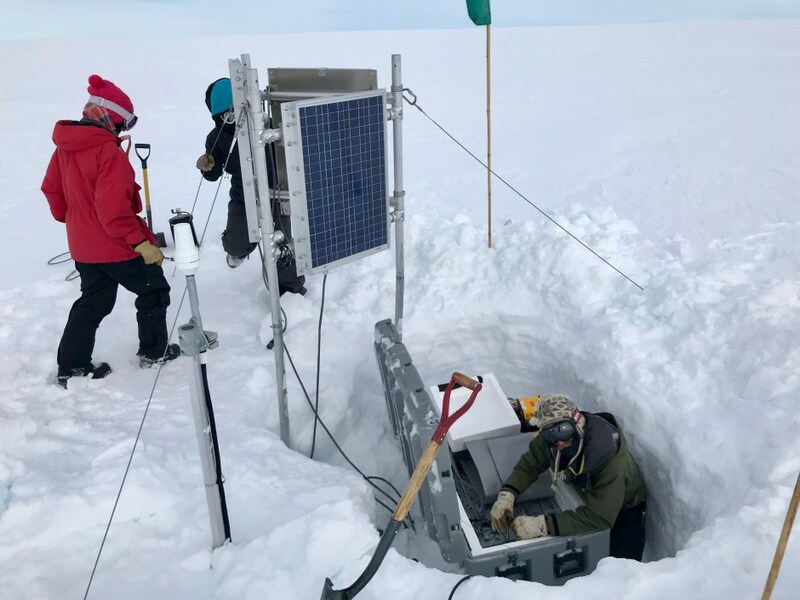 The project was funded in 2016 by the Antarctic Integrated System Science Program with the National Science Foundation’s Office of Polar Programs. There are eleven principal investigators at eight different US institutions with additional US and international collaborators. Antarctic field work began in the austral summer of 2016/2017 and will continue through the 2019/2020 season. Click here to learn more about our hypotheses or on image below to learn about SALSA’s specific scientific objectives. Mercer Subglacial Lake is named after Dr. John Mercer (1922-1987), a glaciologist whose work largely focused on West Antarctica’s ice streams. Mercer postulated that West Antarctica’s ice streams are especially susceptible to the effects of warming and sea level rise due to their sub sea level grounding line and termination as oceanic ice shelves. In an article published in Nature<https://www.nature.com/> in 1978, Mercer posited that West Antarctica’s ice streams may have retreated during the last interglacial period, and that GREENHOUSE warming from burning fossil fuels could produce the same effect during the present interglacial. John Mercer provided valuable insight into the nature of our planet and was revered within the Antarctic research community. SALSA hopes to bring the same dedication, craft, and poise to our study of MercerSubglacial Lake that John brought to his work.